There’s not really an equivalent in English for “tosti”. In French, there is, though: “croque-monsieur”. “Tosti” apparently originates from the Italian “tosto” (from which “tosti” is the plural form), which is short for “tostato”, which is the past particple of “tostare”: to toast. specification, you will receive a ham and cheese tosti, mostly served with a small bowl of ketchup. – Tosti-apparaat: toaster device (for making tostis) [noun] [het tosti-apparaat, de tosti-apparaten]. – Tosti-ijzer: toaster device (for making tostis, lit. 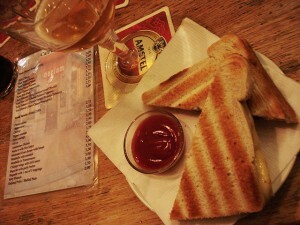 : tosti iron) [noun] [het tosti-ijzer, de tosti-ijzers]. – Broodrooster: toaster (for toasting slices of bread) [noun] [het broodrooster, de broodroosters]. – Roosteren: to toast [verb] [roosterde, geroosterd]. You have a “broodrooster” (toaster) and a “tosti-apparaat/ijzer”. They are different devices. The former is a device used to toast bread, especially by exposure to electrically heated wire coils. The latter is a device for making tostis by heating/toasting a ham/cheese sandwich between two metal plates. These plates are usually heated electrically. You say there is no real equivalent of ‘tosti’ in English. However, in the UK we commonly refer to these as ‘toasties’. A tosti-ijzer is a toastie maker. Just to let you know it is possible to translate “tosti”. Thx for all the daily info, though! Obvious fan of your work! Cheers! The British equivalent for ‘tosti’is the toastie. It is a very important part of British student culture and pub culture. Most British students purchase a sandwich maker in their first year of university as not all student halls have functioning kitchens. Cheese is the traditional filling, but ‘banana-and-chocolate’, ‘cheese-and-beans’, and ‘cheese-and-banana’ toasties are also popular combinations. Personally I nearly contracted scurvy by attempting to subsist entirely on toasties for weeks at a time. Traditional British pubs serve cheese-and-ham or cheese-and-onion toasties that are already sealed in a plastic wrapper. These are best enjoyed with a pint of lager and a packet of salt and vinegar crisps. Yep, definitely “toastie”, although ham isn’t necessarily a default setting (kaas wel). Not sure why it’s spelled “toastie” rather than “toasty” – presumably a back formation from the plural. A pedantic note. ‘Tosto’ is listed in the dictionary as truly uncommon (overly quaint). In Italian ‘tostare’ means to toast, or to roast when referred to coffee. We rather use the very word toast (so spelled and pronounced as ‘tost’). . So toast could be a relatively modern acquisition in the national vocabulary. I’d say that if you want an entirely Italian way to say toast you should call it ‘pane tostato’ (toasted bread, although the standard Italian bread is somewhat different from the one used for toasties). 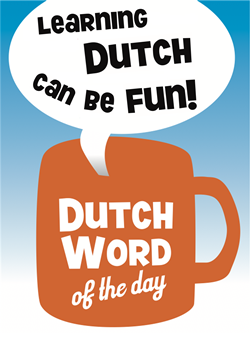 ‘Tosto’, in fact, is an adjective that means hard (for stale bread, not toasted); stubborn, mischievous or impudent (for expressions): or also cool (like ‘stoer’ in Dutch). Further, in literary Italian, ‘tosto’ means immediately – then you can hear some ones who mock-use it in that sense: let’s have a toast tosto! What the people above have said already. Toasties have been around in English as long as I’ve been alive. Mmmm, delicious toasties. English toastie, though, does not mean exactly croque monsieur. In english you have to specify what flavour toastie you want. So it’s correct to say there is no equivalent in english. In the US we called these “grilled cheese sandwiches”, or just “grilled cheese” for short. Hoi ,yes here in the USA it was always Grilled Cheese & also in times past The BLT ( cooked bacon ,lettace & tomatoe ) on toasted bread) but those could be made easily on any heated surface. Now there all kinds of machines & the Pannini is the star of the day here. My father was born & raised in Nederland(Zaandam) they never ate many tostis there ,I think, until the last 20 years or so . They never ate sweetcorn ,tomatoes, avacados or anything much besides, sla, cucumbers, meatballs, vla, biscuits & hagelsla and to make it interesting there was Indonesian food. The food was very local & very bad …niet lekker! but the bread & sweets were great then . Now because of greater affluence and your open borders you have a great variety there in Nederland but I was there many times in years past & I know it was different then. The magazines also display this new trend (with Chefs & food shows enz. ) I am happy the food has improved so much ! In the US, other fried or grilled sandwiches with cheese are patty melts (hamburgers with melted cheese; the New England chain Friendly’s used to make these with two slices of bread and not rolls) and Reubens (corned beef, melted swiss cheese, Russian dressing and sauerkraut). There’s also a Monte Christo sandwich with many variations, But basically two slices of bread with either slices of ham or turkey (sometimes cheese is added) and all of it dipped in a batter and cooked on a skillet. Sometimes maple syrup or powdered sugar is put on top. In our family we’d make grilled cheese sandwiches with two slices of bread in a buttered hot skillet and my mother always added Worcestershire sauce after cooking! Growing up, this and soup was a regular Saturday lunch in our house. Lekker! Just for clarification, Breville is the brand name for an electrical apparatus manufacturer started in Australia and based in Europe in Oldham, UK. They actually invented the toasted sandwich maker in 1974 and then diversified into all sorts of kitchen equipment, including the Antony Warrall Thompson labelled goods. A hyper-pedantic note, then. I quite agree with Simon above, since I would not regard ‘tosti’ as Italian for toasts at all. Personally I am too convinced that the world for the meal did originate in the English-speaking world. The verbs ‘to toast’ or ‘tostare’ have certainly more ancient shared origins, so the branches came close together after having departed from the trunk long since. Tostis are not a dutch invention!